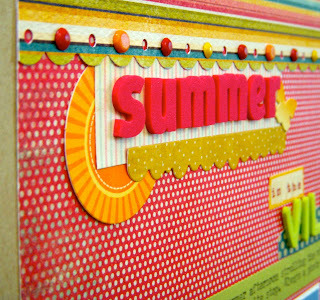 Last month's Snap and Scrap Your Summer blog series over at Two Peas was lots of fun. I even entered Kristina's challenge to use atmospheric photos to create a page about the surroundings of an event, memory or whole season. 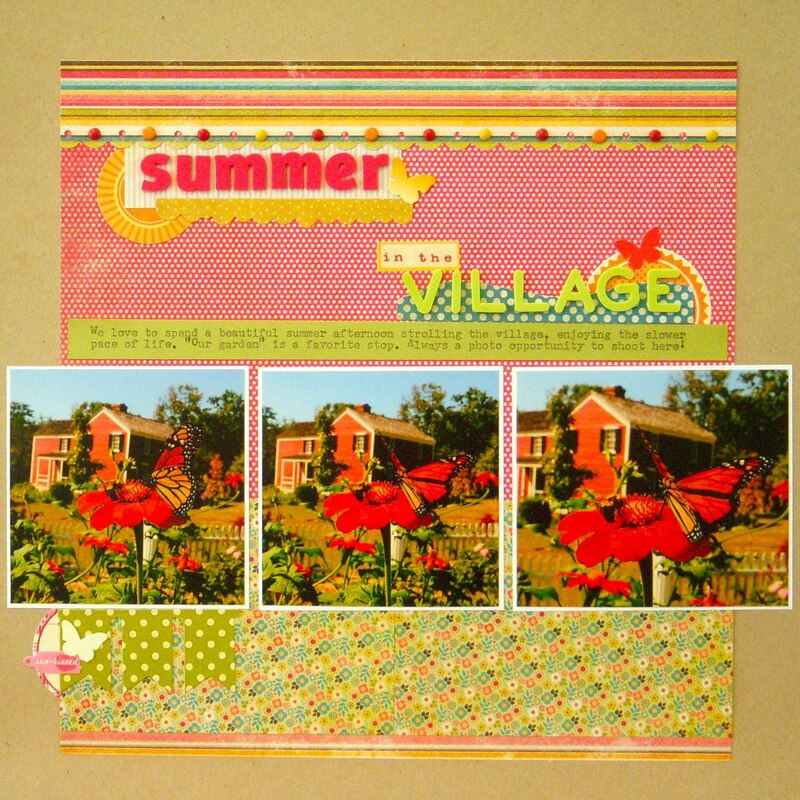 We love to spend warm summer days at Greenfield Village, so that was the subject of my layout. Journaling reads: "We love to spend a beautiful summer afternoon strolling the village, enjoying the slower pace of life. "Our garden" is a favorite stop. Always a photo opportunity to shoot here!" And guess what? I was picked the winner of the challenge! Several days later, a package arrived on my doorstep from Two Peas. Here's what I found inside. I think this is a pretty generous prize! 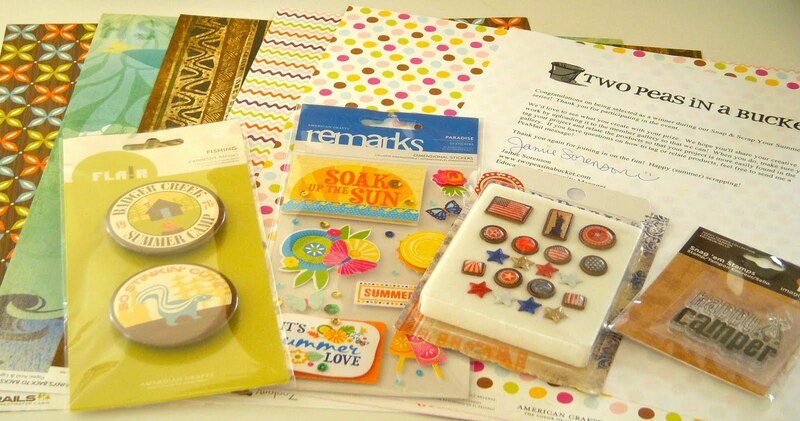 Paper, brads, embellishments, a stamp, and even a signed letter from Jamie Sorenson, who I think is such a sweetie. Haven't had a chance to play with these goodies yet. For now they sit on my scrap table tempting me. Have you ever won anything from Two Peas? That's gorgeous - love it. Pity those photos weren't taken in the UK - they'd be perfect for a couple of big photo comps running at the moment. Congratulations - the only place I ever won anything was Soulscrappers. I find 2 peas a little intimidating TBH - I feel my LOs are inadequate. I think it's the size in part, which contributes to a lack of comments. Loving Shimelle's 4X6 photo love course over there tho'. Wow what beautiful pictures! 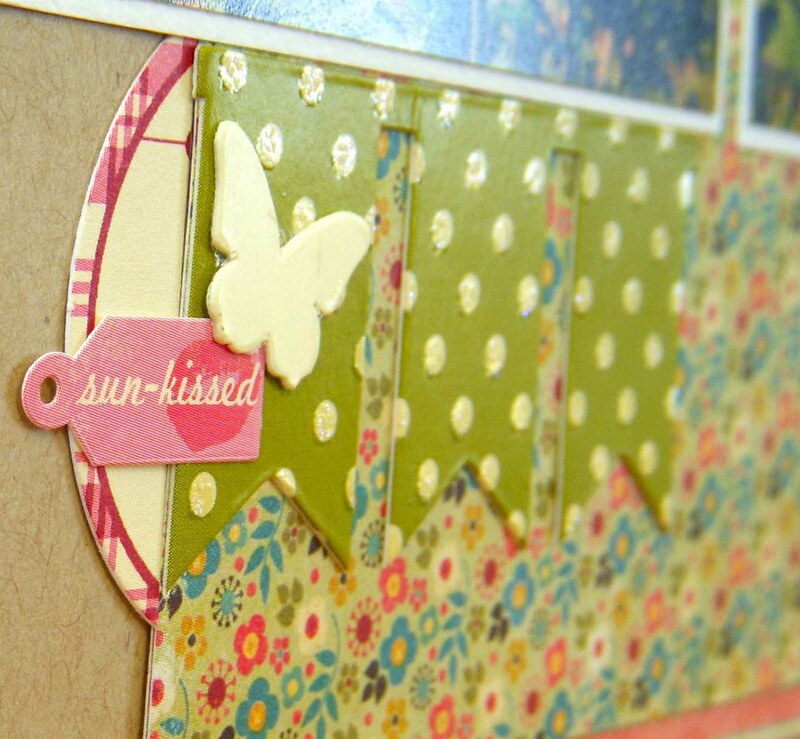 Love the different polka dot papers you used and the brads across the top. Congrats on winning the goodies!!! Sue, your work is always so beautiful - no wonder you won, you're amazing! Beautiful! Congrats and what a great prize! The colors on this are just gorgeous!! Love this layout! The colors are just perfect for summer.Congrats on winning! Congratulations! Love how you did the title on this page! Congratulations! Your layout is fabulous. Very bright and colorful. What a great prize and a lovely layout. And wow - those photos are great, such vivid colors! Congratulations! This is a beautiful and bright page! This is a GREAT layout....no surprise that you won! BIG Congrats! 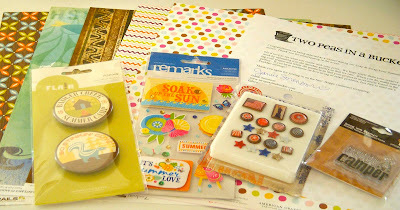 and what fun product to win! Congrats to you! Beautiful, beautiful photos! Great layout, Sue!! !